Im not too familiar with the 2 Litre F20A engine so just want to hear if anyone has tried a turbo or other build or is it just a case of better to stick a vtec lump in it? Last edited by vanzep on Sat Feb 16, 2019 4:19 pm, edited 1 time in total. By vtec lump, do you mean the H22? There may be some fiddling to do with the harness. Im not too familiar with the 2 Litre F20B engine so just want to hear if anyone has tried a turbo or other build or is it just a case of better to stick a vtec lump in it? Assuming it's a similar engine to the F20a4 in the BB8, the main issue is that the rods are very weak if I remember rightly and so boosting tends to break them. An interesting thing I have seen is that apparently the H23 head fits and makes around 150bhp (I've tried to find some links for you but no dice sadly). 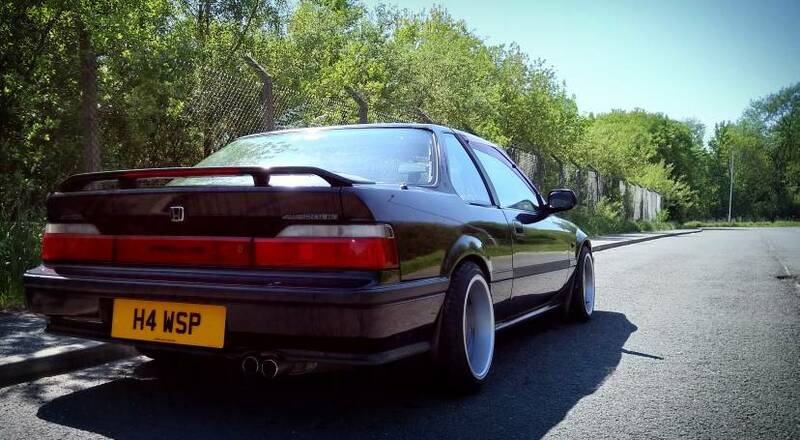 Im still looking into the turbo solution for the F20A4 , as prev mentioned the rods need swapped out however a few guys have ran low boost to decrease the pressure and it seems to have worked out ok. That was the route I was going to go down as 133BHP with lower boost could still be fun. Whats the back story here then, Nick? Or secret squirrel for the mo?